Home / booze / Free cooler bag from Heineken anyone? 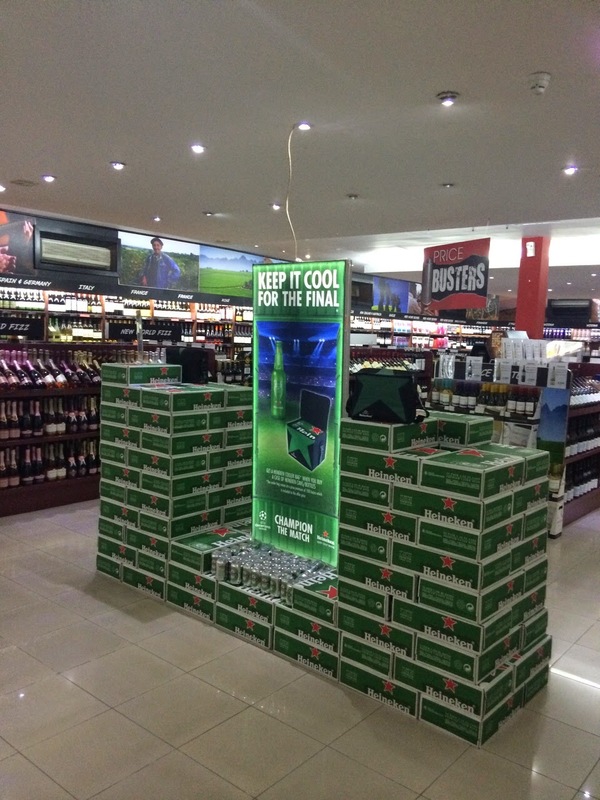 Free cooler bag from Heineken anyone? I was in OUA at MQ over the weekend to pick up some adult beverages and I was quite pleased to see that there was a promotion giving away a Heineken cooler bag with the purchase of a box of the green cans. I was at the Dubai 7s last year and saw that there was a new (3rd design in 8 years now) Heineken cooler bag doing the rounds. Fortunately for me, I was there as a guest of someone else and didn't have to buy anything, but this did mean that I didn't get one of the handier mementos of the rugby tournament - a new updated cooler bag! Anyway, I was happy they were available here so I could now get one, and so can you if you want!